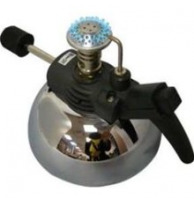 Alec Bradley Burner LighterThere are 1 product. The Ultimate Table Top lighter from the Ultimate Cigar Brand in the World, Alec Bradley. This lighter is the perfect lighter for all your cigar needs. This was developed for the cigar aficionado that loves a quality lighter. Sits easily on your table top, with a large circular blue flame that lights your cigar perfectly every time!